We have been thinking lately that our furry four-legged friends deserve a little DIY love… do they not? Matt and I don’t have pets – yet – but would love to help pet owners with natural DIY ideas. When my friend Andrea offered to pass along a homemade dog treat recipe for the website, we had to share it with you! She says her own dogs go NUTS for these treats, and the lingering smell of peanut butter is a bonus. You most likely have the simple ingredients on hand and the prep time is minimal so let’s make some doggy treats. Don’t you just love the bone-shaped treats? You can find bone shaped cookie cutters at craft stores, online, or you can make them yourself. 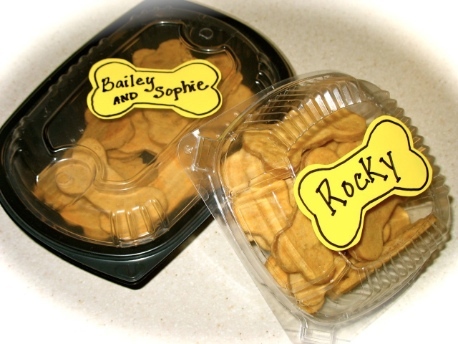 These treats are a huge money saver for those who normally buy store bought; and they make cute gifts, even if you’re not a pet owner. Your end result should be a chewy treat. I made a batch for my sister (who just got two new dogs!) and for Matt’s dad and step-mom (who also recently got a dog). Andrea said she gives these treats to family, neighbors, coworkers, and friends, who all swear their dogs go crazy for them. WARNING: After getting a taste of these new treats, dogs have been known to stalk the area where treats are stored. Bags of unattended treats risk the possibility of being raided and left empty! 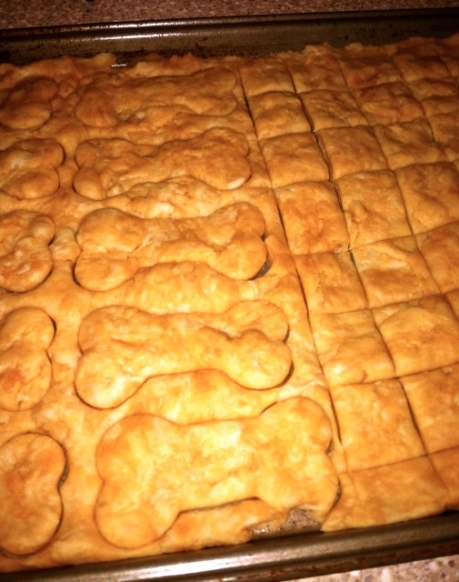 Made these biscuits for my dogs and they loved them. My dogs won’t leave the kitchen now. I just substituted unsweetened applesauce for the oil and oat flour for the flour. Those sound like great substitutions Violet! Thanks for returning and sharing! I substitute flour using whole wheat flour. I also would add a egg. And apples. My dog loves the peanut butter and apple treats I make her. I have made DIY dog treats for 7 years, and Lucy has never had a reaction to any of the ingredients. I have to say I am mortified that people are running to raw meat for their dogs! As a professional in the food business I can’t believe feeding foods not knowing if they are contaminated with e. coli, salmonella to just start with, is not love but completely inhumane! To each his own I guess, I feed my dog a healthy BALANCE of all things she’s able to eat. But, her meat is cooked! Hi! I love this recipe and your photos. I would love to use this recipe for a cookbook I am releasing to Dog lovers. I’ll email you! I rescued a dog from the shelter two weeks ago and he refused to eat any fruits, vegetables, rice, etc. He would only eat dry dog food (I was a little dissapointed) When I came across this site I decided to give it a try, as I prefer EVERYTHING made from scratch. With the help of my 7yr old and the use of a heart shaped cookie cutter we made a batch. I actually used 1 1/2 cups of PB because my son was reading the ingredients. (I used unsalted peanuts and processed them in the food processor) Our dog absolutely LOVED THEM!!! Thanks for the recipe, hopefully our dog will be more open to trying other foods. Mix dry ingredients together. Add molasses, egg, oi; and milk. Roll out flat onto an oiled cookie sheet and cut into narrow strips. Bake at 350 degrees F for 20 mins. Break into small pieces. Suitable for cats. Good for treats, gums and cleaning teeth. Too low in protein for regular use. Oh wow…some of our readers are going to be super excited about this! Thanks for sharing Caroline! My Lab loves to eat grass. He also loves carrots. A tip for stinky breath, feed them a sprig of fresh mint. Most dogs love the taste and it leaves a nice smell afterwards. My labs go out and eat grass all the time too. They also love potatoes, carrots, and any kind of fruit. BTW, here’s a little tip. if your dog eats his feces, you can mix pineapple into the food and it will make the waste taste bad. No chemicals, no meds. I’ve studied animals and diets for many years and while raw does seem to be a good way to go, many pet owners don’t or can’t make the change. Yes, many dogs are allergic to grains especially corn and wheat so why not make the dog treat recipe with soy or oat flour instead. You could also add in a jar of 2 of baby meat to give them some more protein. You might have to adjust the flour a bit to get the same consistency but the dogs will love them. BTW, how many dog and cat owners have seen their pets outside eating grass and greens? Also, a note about Liver and other organ meat!! 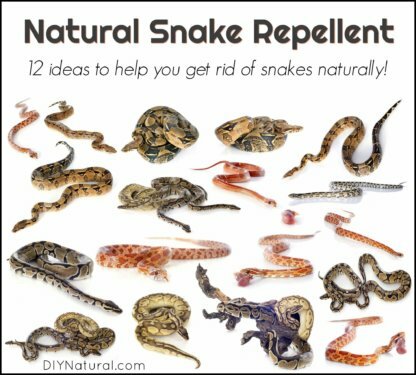 Please be careful feeding these to your animals and only give them in small amounts. Vitamin A toxicity is very serious and can be fatal. NEVER EVER GIVE YOUR DOGS ONIONS OR GARLIC…they are toxic to dogs and can cause potentially deadly blood problems. Thanks for that info about onion and garlic! I never knew that. Not that I feed my dogs these things on purpose, but they never leave my side when i’m chopping. Dog breath (teehee) smells bad enough with out the additions of O & G! Just out of curiosity, has anyone tried giving this treat to a cat…or are there problems with cats and peanut butter? I have three dogs and a cat, three of which are rescue animals. I didn’t have cats before this one, so I’m curious if the cat would want to try it…think I might see with a batch (unless I find something that says she shouldn’t have it). I make my own peanut butter so that won’t be an issue. I have two dogs: both are rescue and with lots of issues and with LOTS of training. My little guy is a certified therapy dog (he was facing the needle, but now has helped thousands of people!!!!). The other guy…oh, the other guy. My Wookie boy has countless health issues. Don’t get me wrong, he is wonderfully “flawed”; he is red, has a mohawk, an outie belly button, severe anxiety (cannot be treated, and you will hear why in a sec), goes potty every time I step out of my place (I cover my carpet with washable incontinence pads), chronic ear infections, is susceptible to every parasite in the vicinity (immune deficiency) …and epilepsy. Epilepsy is the one the one that triggers it all. He can’t have this; he can’t have that. The epilepsy triggers his immune system, his anxiety…his everything. This boy nearly lives at the vet during the summer. He has food that triggers him; he has treats that trigger him. Guess what??? A little known fact about epilepsy is that it triggers aggression…and I have lived that…and from some treat triggered stuff! This guy cannot eat some treats, just as he cannot have meds to help him with his anxiety. The vet wanted to treat it before he started having seizures, but despite my resistance to all meds, he had to have seizure meds. He has had food that is organic, as I am no novice to trying to treat his condition organically, and I have also been bitten after he was given treats that have triggered his “issues”. Well said Andrea, and thanks again for sharing your recipe! I have tried the treats with my dogs for the first time today and my dogs love them. I am so grateful to have found this recipe. I think it is cool to see that others love their animals as much as I do. I think the comments against this product are humorous. I think too much is made of it. The reality is the ingredients are more healthy than substitutes you would find in a store, they must taste great (I haven’t tried them…to your knowledge), and they are much cheaper than what you can purchase otherwise (which of course is the point). Additionally, the recipe is a base and other ingredients can be easily substituted. Thanks Andrea and DYI for suggesting this. Ralphie is grateful. One of our facebook fans just posted that for her organic dog treat business she uses oat flour instead of wheat flour and non-sweetened applesauce instead of vegetable oil. Great suggestions! Not being pet owners, perhaps you aren’t aware that wheat is not really very good for our pets, so anything made with flour I never feed my dog. There are grains that are okay, rice, barley, etc. Also, processed peanut butter (do you really need to give your dog sugar?) gives many dogs digestive issues, but a bit of natural peanut butter is much better for them. I’d not give this treat to my dog — sorry! As for the homemade shampoo and conditioner, I found a handmade bar soap that works SO great from a company called the Conscious Bath here in Wisconsin. It has been the best thing I’ve found to bathe my dog with. Effective, rinses clean easily, and leaves his fur really soft and smelling great. Thanks for the input on the dog soap for our readers Michelle! I also updated the recipe to say natural peanut butter b/c this IS the best kind to use and it’s the only kind we use anyway. God bless! 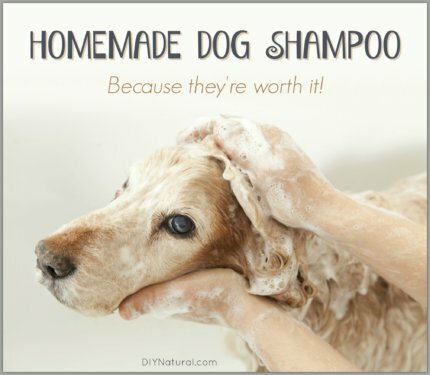 I would love to see a homemade dog shampoo & conditioner !! 🙂 You both are doing such an AWESOME job, thank you so very much for all the work you do to empower us !!! I’m going to try this. . .
agree with “mom”, I hope you might stumble across a ‘cat treat’ recipe! Lauren, it’s just a ‘treat’ and all dogs love treats. 😉 And trust me, if you don’t give them treats … they may find their own. hee hee. Thanks Diana, for your support, I think that cats are not fairly represented on DIYNatural!! MEOW!! In my opinion, flour and grains are not good for dogs, and many are allergic. Dogs are not designed to eat grains, or fruits & vegetables; they are purely carnivores. Grain is the main ingredient in kibbles, and baking what little actual meat is in kibble removes a HUGE amount of necessary nutrients. I just discovered the raw feeding movement for cats and dogs and have switched my dog over to a raw diet, which literally involves feeding nothing but raw meat (80% of the diet), bone (10%), and some organ meat (5% any organ, 5% liver) (cooked liver is recommended for treats). 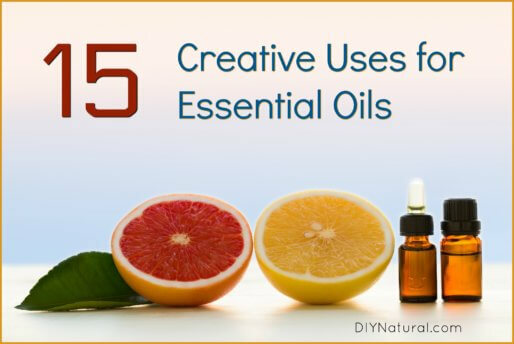 I highly recommend that anyone really looking to DIY naturally research it for themselves! Here are two sites for those interested in feeding their pets a raw food diet. I’m not a vet of course, but the fact is that dog food itself hasn’t even been around for a hundred years, and before that dogs ate meat and table scraps and lived long and healthy lives. I’ve also seen in my research (and I researched for about a solid week before making the switch!) that what little training vets get in dog/cat nutrition is often sponsored by kibble companies. The raw concept took some getting used to for me, but my dog is happy and her watery eyes have stopped almost completely since making the change! my dogs eat a raw meat diet, too but i’m a vegetarian and have always given my dogs vegetables and some fruits as treats. just like they have health benefits for us they can also help our canines. i have one dog that will stand at the fridge waiting for her carrot treat. she loves kale and spinach too. at her last vet check out vet was impressed with her 3 lb weight loss just from cutting out package dog treats and substituting with the veggies. My dog…does like to eat fruit and veggies…she loves apples, strawberries, peaches, dandelions…corn on the cob (yes, I realize it isn’t good for her), blueberries, to name a few. Also, in the wild dogs, big cats, birds of prey, snakes all eat the stomach contents of their prey, which are usually herbivores. Nature has set up dogs and cats to have some vegetation in their diets. Also, I’m pretty sure that dogs didn’t live ‘long and healthy lives’ 100 years ago…they were (for the most part) underfed, under vetted, lived outside, etc…generally not enjoying the cushy lives that most lead today. That being said, I would make the changes suggested below before I fed this to my dogs…but as Diana said, they are just treats. Actually, dogs are omnivores not “purely carnivores”. In other words, they need both meat and plant based foods in their diet. Cats, on the other hand, are carnivores and will thrive best on animal protein. cats are purely carnivores. dogs are not. they do need some veggies in their diets. please feed some to your dog. Ha ha… I knew you’d say that! Perhaps I could delegate this to you so we can share your findings on the site? Love you Mom! Wow – this seems almost too easy! We have a Newfoundland who loves peanut butter. Aside from the power increase from the stove being on this seems like the way to go for homemade treats.